In this issue, we share highlights from the 2014 American Society of Hematology (ASH) annual meeting and the 2014 San Antonio Breast Cancer Symposium (SABCS). During the ASH meeting, a second list of 5 practices to question was announced as part of the society’s participation in the American Board of Internal Medicine Foundation’s Choose Wisely campaign. In addition, results from a trial on the use of pediatric regimens for adolescents and young adults with acute lymphoblastic leukemia are discussed, as are those from a trial studying the role of tinzaparin in reducing the risk of recurrent venous thromboembolism in patients with active cancer. From SABCS, results are shared from a trial exploring the role of dietary fat and its impact on mortality in patients with hormone-negative breast cancer, as are those from a trial studying the effectiveness of capecitabine in elderly patients with moderate- to high-risk early-stage breast cancer. We also feature an article that explores the stigmas associated with a diagnosis of lung cancer. The connection between smoking and lung cancer, how this connection contributes to stigmas associated with the disease, and the effects of this stigma on research funding, access to care, and patients’ psychological states are discussed. The article also includes steps to help overcome the stigma, as well as the role of the oncology nurse in supporting patients who are diagnosed with lung cancer. Be sure to also read an inspiring profile of the University of Washington Medical Center, as well as a compelling article on the potential impact of shift work and sleep deprivation on the human body. 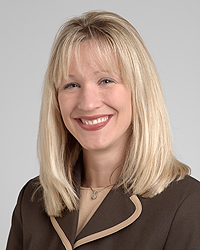 “There is a very strong link between shift work and lack of sleep, and fewer hours of sleep can translate to a higher risk for obesity and disease,” said Eva S. Schernhammer, MD, DrPH, who recently spoke on the topic. Finally, discover how one clinic developed a process to ensure that its nursing team received ongoing learning opportunities and how the transfer of knowledge was facilitated from retiring staff to newly hired nurses. Also in this issue, lung cancer screening, electronic health records, the benefits of palliative care, and the management of cancer-related cachexia are explored. Thank you for your continued support of TON, and best wishes for a healthy and happy 2015!